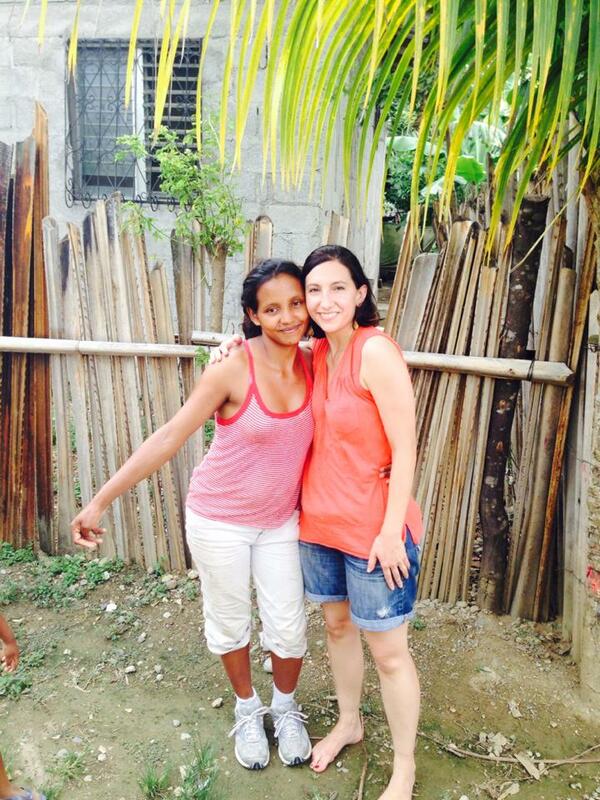 This entry was posted on Sunday, July 20th, 2014 at 6:03 pm and is filed under Mission Trips, News/Announcements, Posts. Feet…I was reminded recently about the importance of our feet. I know that sounds funny, but when you think about it the care of our feet is really important. We take our feet for granted. We have good shoes and socks. We really don’t give it a second thought. For our friends in Honduras, the care of their feet is critical! They play soccer barefoot, and often walk through the littered streets with no shoes, and few have cars, so their feet are their primary form of transportation. It’s easy to get cuts from broken glass on the ground or sores from wearing shoes too small or worn so badly they really aren’t shoes anymore. The first story, a young mother, who was a first time missionary with FOLN, was visiting a village where we were distributing food and shoes (flip-flops, really). It was a beautiful day and we had the opportunity to meet with the people, play with the children and get to know the families before we started the distribution. Distributing the food is orderly. Names were called people received the provisions and happily brought them home. Shoes – now shoes are a whole other story. Every child, every adult, needs to try on or at least put their feet by the shoes to make sure they would fit. We had a lot of shoes, but not sure we had all the right sizes for everyone. So all the kids lined up from smallest to largest, and then the adults. Seeing the smiles on the kids faces as they pick their shoes and run to show their mom or dad is priceless. One young single mother, had gotten shoes for her two children. She hadn’t realized we had shoes for the adults as well. When she realized and came back, we no longer had any shoes close to her size. Our missionary volunteer, saw the mom with no shoes. The mother was grateful for the shoes her children had received and thanked us with a smile. Our missionary had spoken to this young mother a lot before the distribution finding out they both had children the same age. The young missionary was crushed that this mother, so much like herself, would be walking away with no shoes. As we were preparing to leave, I look back and I see the young mother and our missionary volunteer hugging and tears freely flowing. I see the young mother with new tennis shoes on, and our missionary volunteer with bare feet. I had never witnessed such selflessness. I thought of Jesus washing the feet of the disciples. “12 When he had finished washing their feet, he put on his clothes and returned to his place. “Do you understand what I have done for you?” he asked them. 13 “You call me ‘Teacher’ and ‘Lord,’ and rightly so, for that is what I am. 14 Now that I, your Lord and Teacher, have washed your feet, you also should wash one another’s feet. 15 I have set you an example that you should do as I have done for you.” John 13:12-15. The second story happened in the same village on another trip, doing the same distribution of food and shoes. One of our regular missionary travelers, a self-proclaimed germ-a-phobe, shared that during the distribution of the shoes to the men, she felt called to purposefully touch each man’s foot. She was reminded of Jesus washing the disciples feet. She realized that touching a person’s foot is a touch that cannot be construed as anything but pure love. Touching a person’s foot takes away barriers and status. The person touching their foot, fitting their shoes, is nothing more than the lowly servant. She gave much more than shoes away that day. She prayed for each man. She gave respect where little had been shown before. She gave a loving touch to a dirty foot, and walked away feeling herself touched by the loving hand of God. As you put on your shoes today, I ask you to say a prayer for all those in the world today that have no shoes to wear. May God bless and protect them. Amen.